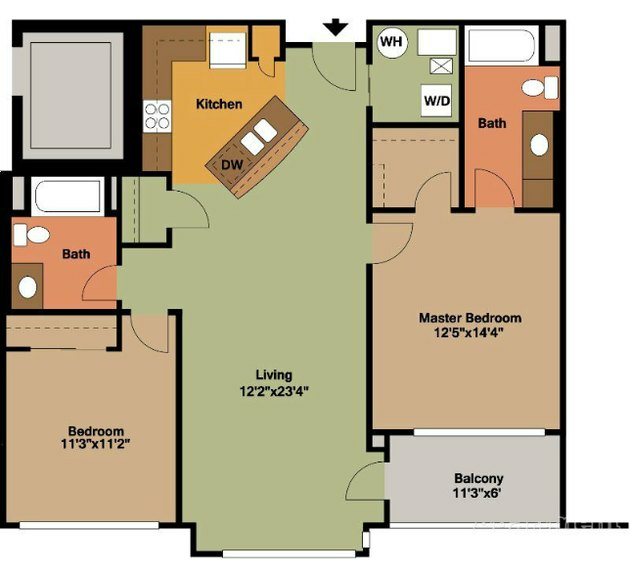 Different rooms have different purposes and need different floor coverings. 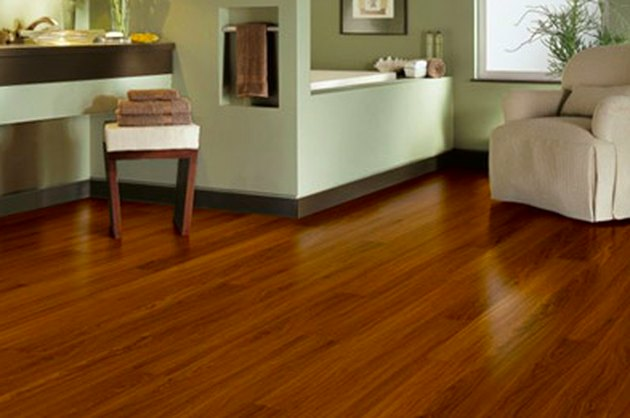 Hardwood, bamboo, stone, cork, ceramic, vinyl, fabric...the list of materials that manufacturers offer for residential flooring keeps growing, and it requires some thought to choose a floor covering that best suits a particular room takes thought. Is appearance your main priority, or is it durability...or budget? Do you have to worry about water or pet damage? Perhaps you'd like to reduce your carbon footprint by using a green material. 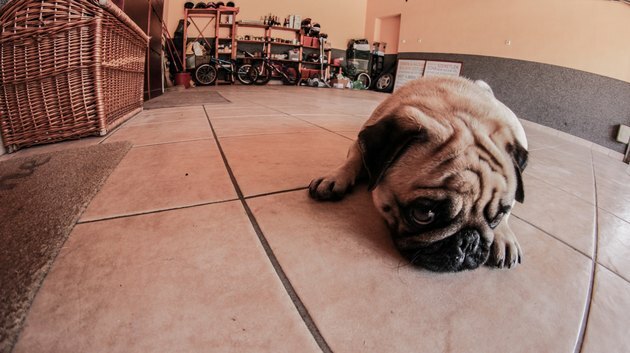 For the DIYer, there's one more important question before deciding on any floor covering: "Can I install it myself?" It's important to have an idea of the broad range of flooring materials available, but even a single flooring type can represent a plethora of possible variations. Your search probably won't shift into high gear until you've narrowed things down to a particular material. For example, once you've set your heart on the look and feel of hardwood, you can search for wood flooring products that fit your decor and budget. Given the increasingly diverse selection of floor coverings available on the market today, however, it's a mistake to narrow your search too quickly. Stay open to being surprised. Besides being beautiful, a hardwood floor adds value to your house. Originally popularized in 17th century France, wood floors were common in colonial America, and wood remains one of the most popular flooring materials. Traditional wood flooring includes both hardwoods and softwoods, such as pine and fir. Domestic hardwood species, such as oak, maple, and birch, are relatively abundant and inexpensive and are offered by flooring outlets for about $3 per square foot. Exotic and rare species, such as mahogany and walnut, can cost twice as much or more. Traditional wood flooring planks are milled with a tongue and groove and are designed to be blind-nailed to a plywood subfloor. Many homeowners rent the machinery and do the installation themselves, but you can find contractors in virtually every city to do it for a baseline cost of around $4 per square foot. Many products come with a tough factory finish that lasts longer than any finish you can apply yourself. Besides increasing the life of the floor, it reduces installation costs. In response to dwindling forest resources, manufacturers are increasingly offering engineered flooring constructed in layers, like plywood. The top layer is a prefinished hardwood veneer and the core is composed of less expensive softwoods. Engineered boards are generally less expensive than solid ones and, because of the layered construction, they actually resist warping better. You install them in the same way you install traditional boards. Tile is a cool choice that is also waterproof. Some people like ceramic and stone tiles so much that they install them throughout the house. They tend to transmit cool air from below and help keep the house cool, which is important in tropical and semi-tropical climates. When climate control isn't the main issue, the best place for tiles is in wet locations, such as bathrooms and kitchens. They are impervious to water and are easy to keep clean. 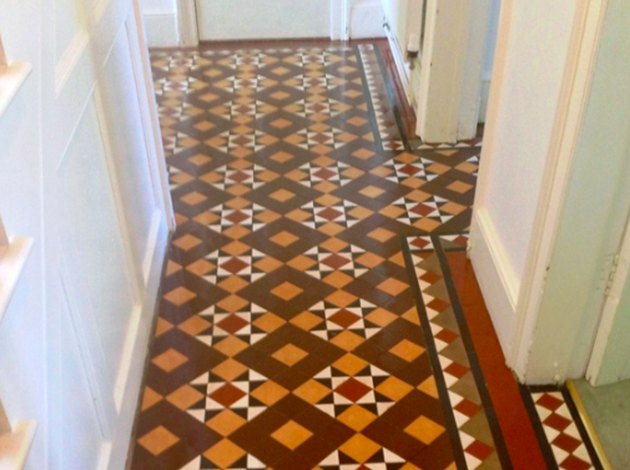 You can install most types of flooring yourself, and ceramic and stone tiles are no exception. 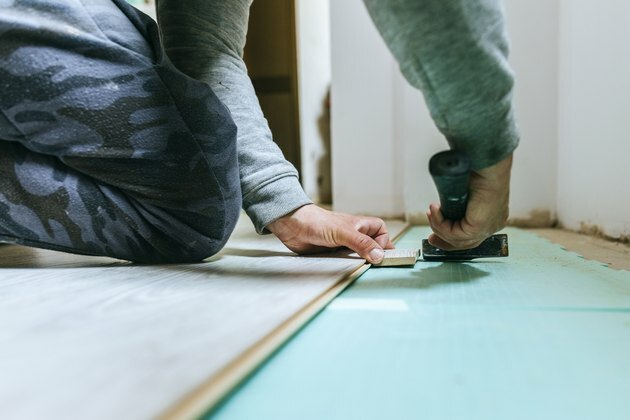 You need to adhere them to a stable and level subfloor, and that usually means installing fiber-cement backing board to a plywood subfloor before laying the tiles using thin-set mortar adhesive. If you do the job yourself, you'll save the labor costs, which average $5 to $7 per square foot, or $600 to $840 for a 10-by-12 floor. Laminate is the original snap-together flooring material. It may look like wood or tile, but laminate flooring is a different material and forms a category all its own. Mainly composed of fiberboard, the top face is a durable plasticized surface that can last as long as hardwood when properly maintained. Unlike hardwood, laminate flooring can't be sanded, so when it does begin to show its age, replacement is the only option. But it costs about half as much to replace a laminate floor as it does to replace a hardwood floor. Laminate floors are designed to float over the subfloor, meaning there is no gluing or nailing involved with installation. You simply snap boards together jigsaw puzzle-style. Although the process is a little more difficult than it sounds, it's one that any DIY-savvy homeowner can accomplish. Laminate materials cost between $2 to $4 per square foot, and if you choose professional installation, you'll pay between $2 and $8 per square foot. Linoleum is an all-natural material, and is still considered a premium floor covering. Linoleum is a quality product that was supplanted in popularity by cheaper vinyl and PVC sheet flooring in the 1950s. Recognizing the benefits of linoleum, which include richness of color and a lack of artificial ingredients, consumers have been transferring back their affections, and linoleum's star is once again rising. A worn linoleum floor may conjure visions of an early twentieth-century tenement, but a new linoleum floor is a different story. The deep colors extend all the way through the material, which allows for easy repairs of scratches. Sheet vinyl isn't as easy to repair, but it also wears well and adds color and character to kitchens, bathrooms and utility rooms. Linoleum costs about $3.50 per square foot, while sheet vinyl costs range from $0.50 to $2.00 per square foot. Neither linoleum nor sheet vinyl is a great candidate for do-it-yourself installation, although some manufacturers do offer vinyl flooring installation kits intended to make the job more DIY-friendly. But both linoleum and sheet vinyl require meticulous subfloor preparation, careful cutting, and skill with glue application. Expect to pay between $3 and $4 per square foot for professional installation. Luxury vinyl flooring can look authentic enough to use in the living room. If you like the look of wood, but you don't trust your pets, check out the ever-growing selection of vinyl planks, which are sometimes called luxury vinyl tiles. These multi-layered tiles snap together like laminate planks, and they are available in styles that can create the impression of hardwood, stone, and ceramic. They are water resistant, which makes them suitable for bathrooms and kitchens, and they require no nails or glue. All you need to install self-stick tiles is a ruler and a knife. 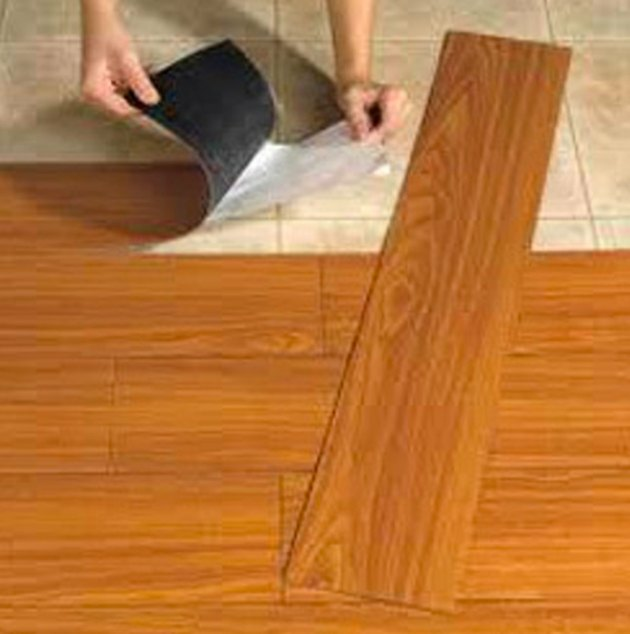 Self-stick vinyl tiles provide an easier-to-install alternative to sheet vinyl. They come in planks designed to resemble hardwood flooring or in squares that may resemble stone or ceramic. Some vinyl squares are groutable, which adds to the realism. Prices range from $0.45 to $1.30 per square foot, which is considerably less expensive than luxury vinyl, which costs from $2 to $3 per square foot. Both are easy to install yourself. If you opt for professional installation, you could end up paying up to $7/per square foot. Carpeting adds warmth and comfort to any room. If you need extra warmth or sound insulation, or you just like to hang out on the floor, you should consider wall-to-wall carpeting. This is not the best choice for moist locations or for pet lovers, but it adds coziness to any bedroom, living room or den, and makes a comfortable, safe play surface for kids. 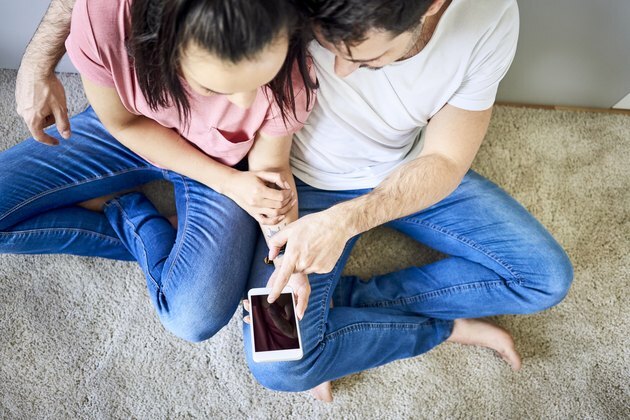 The cost of a carpet installation should include the cost of the carpet itself (between $1 and $11 per square foot), the underpadding (an additional $0.30 to $0.60 per square foot) and the installation ($0.50 to $1.00 per square foot). You can often find package deals that include installation for little cost above that of the carpet. Bamboo may be a grass, but it's as hard as oak. Want to make a green choice? You'll be doing just that if you choose linoleum because it's made from pine rosin, linseed oil, cork dust and wood products, all laid on a burlap backing. All of these materials are either recycled or derived from sustainable sources. Wood flooring can also be considered a sustainable building material if it comes from abundant sources or is farmed on plantations. Bamboo and cork are two of the greenest flooring materials because both grow back fairly quickly after harvest. 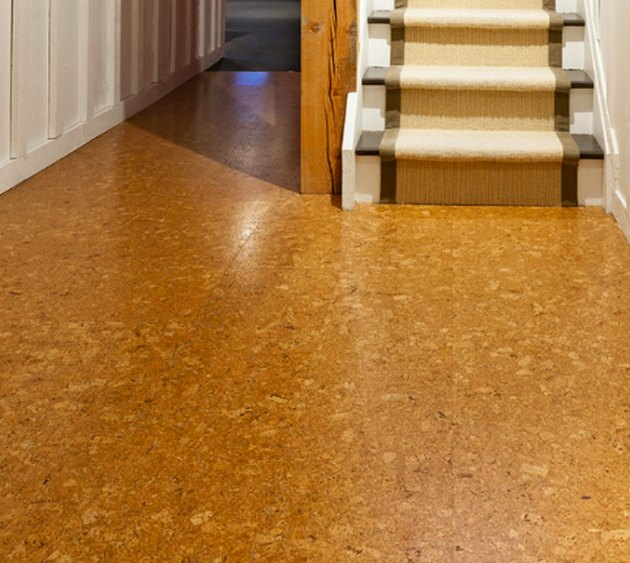 Cork is sustainable, attractive and easy to install, and it's surprising durable. Bamboo flooring is almost as hard as oak, and it comes in nail-down tongue-and-groove boards with a durable factory finish. Cork is fashioned into laminate flooring planks that snap together like laminate planks. It's a surprisingly durable material that is equally at home in living rooms, bedrooms and recreation spaces, although it doesn't do well in moist locations. 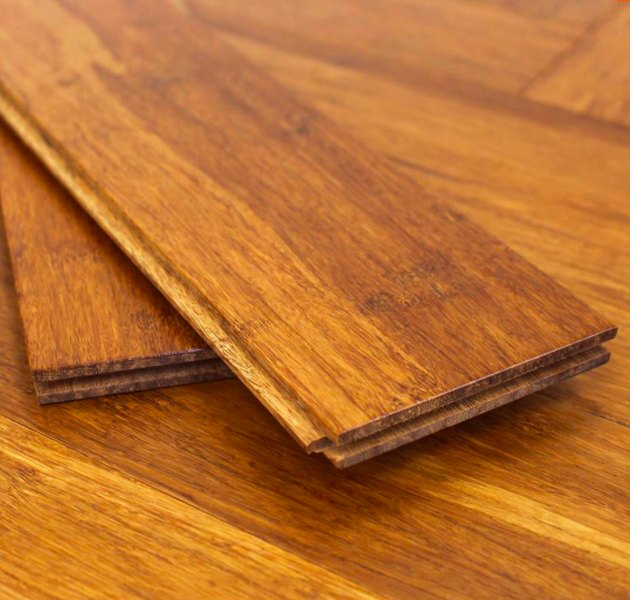 Bamboo flooring can be inexpensive, but it's advisable to stick with materials that cost upward of $3 per square foot, because cheaper ones tend to contain formaldehyde-based adhesives. Cork flooring costs between $3 and $5 per square foot.